Can you name the most ignored skill in early piano education? It’s certainly not note reading and it’s definitely not rhythm reading; it’s hands-together coordination. Hands-together coordination is essential to playing the piano and yet it is rarely mentioned in method books. Instead, one day students are presented with hands-separate piano pieces and then with the turn of a page, hands-together music pops out of nowhere. Needless to say, this is quite frustrating for young children. So when we sat down to write the Wunderkeys Primer Piano method books we made hands-together education an integral part of the material. To provide further practice, today we’re sharing a printable activity that will have your primer-level piano students rocking some hands-together rhythms! 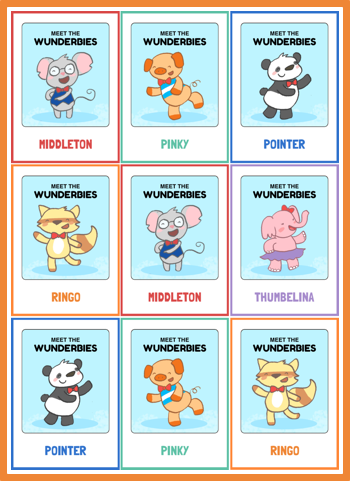 Click on the image below to download your copy of our Hands-Together Rhythm Blocks. You never get a second chance to make a great first impression. This should be the motto for all piano teachers who are looking to increase their studio population. But the task of making a great first impression can pile a lot of work onto the backs of already-swamped piano teachers. Fortunately, for years, Trevor and I have been sharing first-lesson materials that make teachers look like musical superheroes. 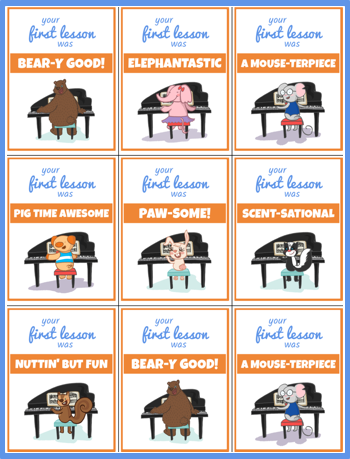 On our blog over at Teach Piano Today you can find first lesson photo props, a Welcome To Piano Lessons follow-up email, and our recently shared, First Lesson Piano Parent Survey. Today we are adding another first-lesson printable to our collection of fun. Below you will find our First Lesson Greeting Cards. Print them out, fill out your studio information on the back, punch a hole in the corner, attach them to a bag of treats or some bubbles, and send them home as a fun little welcome gift. Click on the image below to download your copy of our First Lesson Greeting Cards.